Car research can be a strenuous process full of fact sheets and test drives. The last thing you want then is for finances to get in the way upon finding a suitable ride. 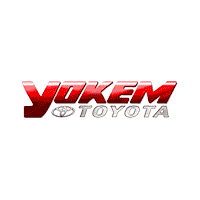 At Yokem Toyota, we believe that every driver deserves their dream car, truck or SUV; that’s why in addition to supplying the greater Bossier City, Monroe and Marshall, TX region with an extensive new Toyota inventory, we are proud to have a supportive auto finance team on staff at our Shreveport car dealership. Our car financing experts are ready to do some number crunching to arrive on a price and payment plan tailored to your budget. But first, you need to determine whether you plan on buying or leasing your next vehicle in Shreveport; to make things a bit easier, we’ve outlined the benefits of each. You can personalize your car with some parts and accessories. You build equity, which is great in the long run. Whether you’d like to own your car outright or have the freedom to switch up your ride every so often, we have the solution for you! So go right ahead; begin filling out our easy finance application, and when you are ready, come join us at our 1199 E. Bert Kouns Industrial Loop location in Shreveport, LA.